The photograph of the handsome man in his uniform and hat hangs on the wall at her grandparents' home. The young girl has noticed it for years, but at a family gathering one Sunday afternoon, she finally asks her mother, "Who is that man on the wall?" 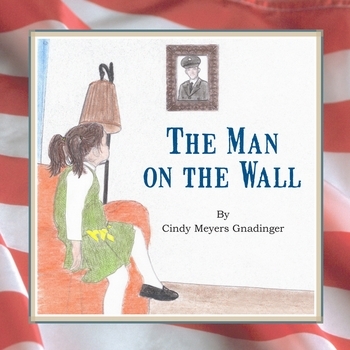 In this touching and true story, the girl discovers the identity of the man on the wall and learns about his life as he grew from a boy to a young man who made the ultimate sacrifice during the Vietnam War. This is one family's story of love and loss and serves as a reminder of the more than 58,000 lives lost during this tumultuous time in our nation's history. Cindy Meyers Gnadinger is a former elementary teacher and teacher educator who specializes in the teaching of reading and children's literature. She emphasizes using picture books to teach content subject matter in her university courses. Cindy chose to write this story when she recognized that very few picture books exist on the topic of the Vietnam War and that many schools devote very little time, if any, to studying it. Cindy currently serves as the Dean of the School of Education at Bellarmine University in Louisville, Kentucky. She resides in Fisherville, Kentucky with her husband John and their three sons, Luke, Dean, and Kyle.